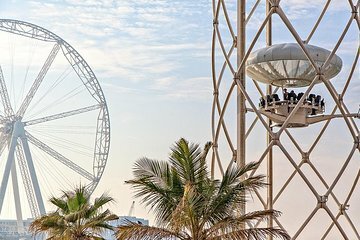 Beat the heat and enjoy a guided tour of Dubai by night, which includes admission tickets to Flying Cup, a panoramic beachside attraction. Get lifted the equivalent of twelve stories as you enjoy a bird’s eye view over the city. Tours include complimentary drinks and popcorn, plus stops at the Burj Khalifa fountain, Dubai Marina, and a traditional souk.